Deviled eggs are a brunch classic but they are really delicious anytime! In the 18th century, "to devil" meant to cook with spicy or zesty foods. This style of eggs has the yolk removed and spices are added which is why they got the name deviled eggs. 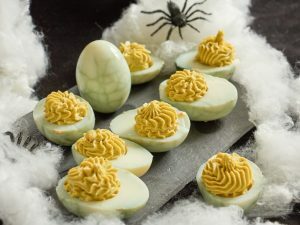 While the term "to devil" has largely gone away, deviled eggs are here to stay! 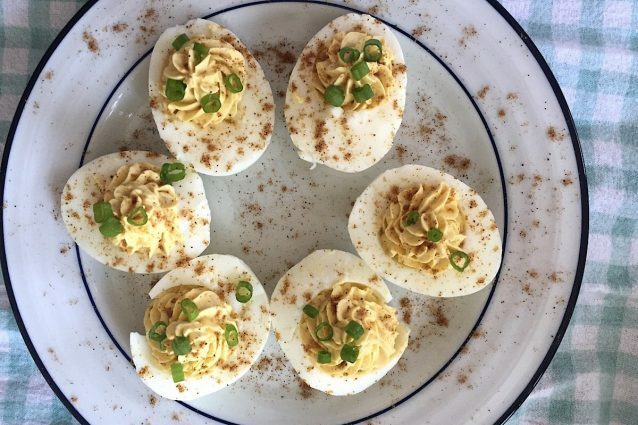 This recipe is a nice basic way to make deviled eggs that are sure to wow anyone. They taste great, look beautiful and are easy to make- the perfect combination! Place the eggs in a small saucepan and gently bring to a boil. Allow the eggs to boil for 12 minutes then turn off the heat. Let the eggs cool slightly then remove from the water and place them in the fridge for at least 3-4 hours to cool. Remove the eggs from the fridge and peel the shell off gently. Slice the eggs in half and remove the yolk. Place the yolks in a small bowl and set the egg whites aside for now. 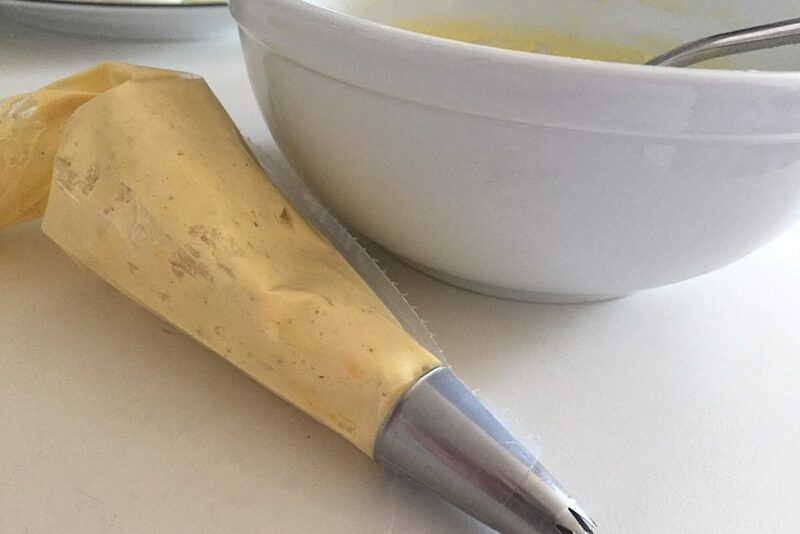 Mix the yolks together with the mayonnaise mustard powder, cayenne pepper and paprika. 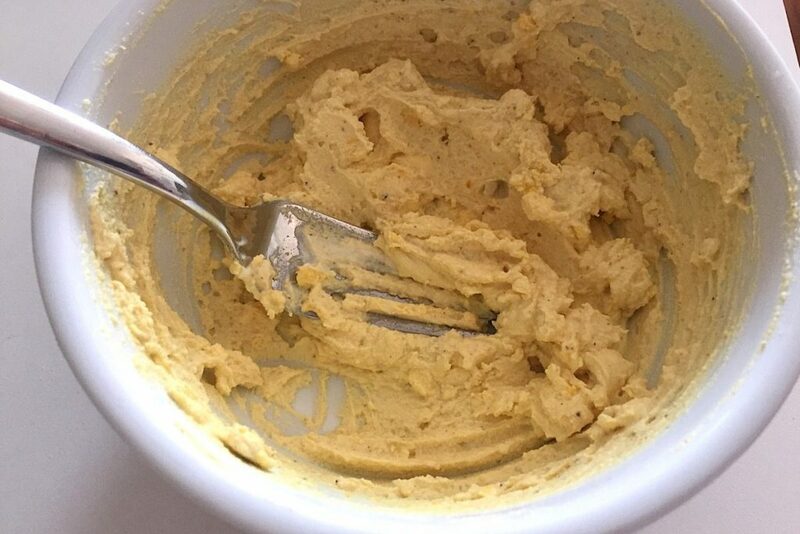 Stir together really well so that the yolk mixture is free from lumps and light and fluffy. Place the yolk filling in a small piping bag fitted with a star pastry tip. Fill the cavity of each of the egg whites with the yolk mixture. Garnish with the chopped chives and a sprinkle of paprika. Serve cold. -Deviled eggs are traditionally made with vinegar as the acidity lessens the super rich filling. Mayonnaise and egg yolks are heavy and powerful, the vinegar helps make this not so noticeable. You can skip the vinegar if you'd like to keep that rich creaminess intact. How to make perfect boiled eggs!